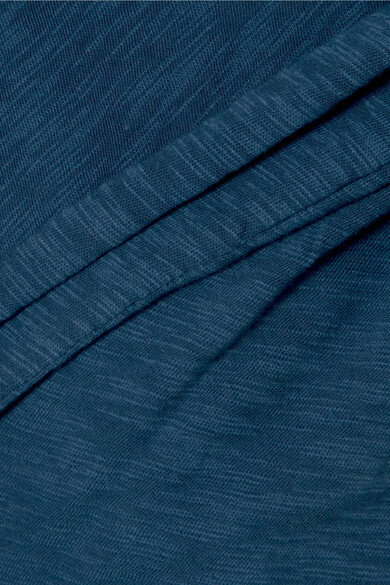 ATM Anthony Thomas Melillo	was launched in 2012 based on one staple piece - the perfect T-shirt. 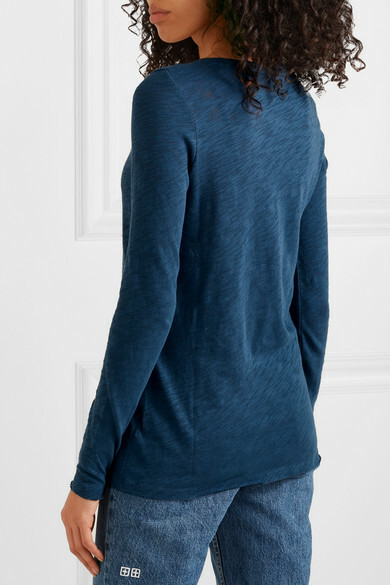 Finished with raw frayed hems, this long-sleeved top is spun from slub cotton-jersey in a dark-blue color the brand likens to a "deep ocean". 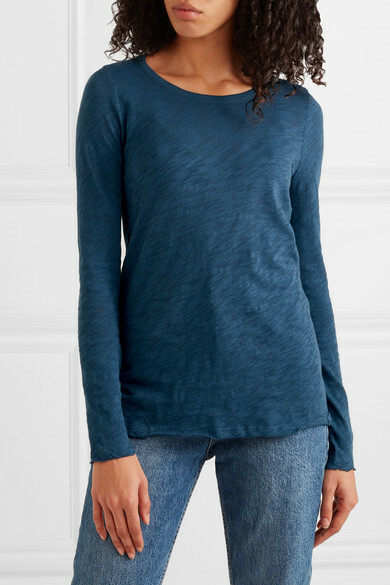 It looks great paired with jeans or track pants. 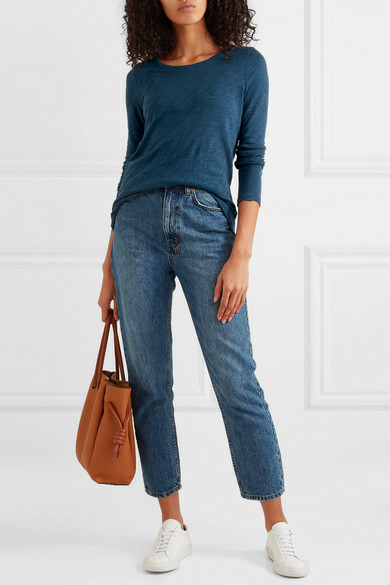 Shown here with: Ksubi Jeans, Loewe Tote, Common Projects Sneakers.